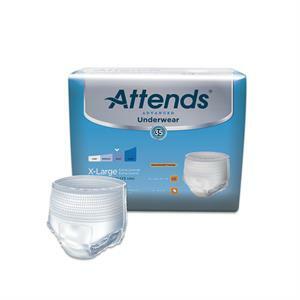 Attends® Protective Underwear provides protection for moderate to heavy incontinence. Worn under your clothing just like regular underwear, these products offer an alternative to briefs for people with active lifestyles. Our breathable, absorbent designs feature cloth-like stretch panels for comfort. They pull on and off just like regular underwear, but also have tear-away sides for an easy removal option. Ultimate defense leak-guard leg cuffs. 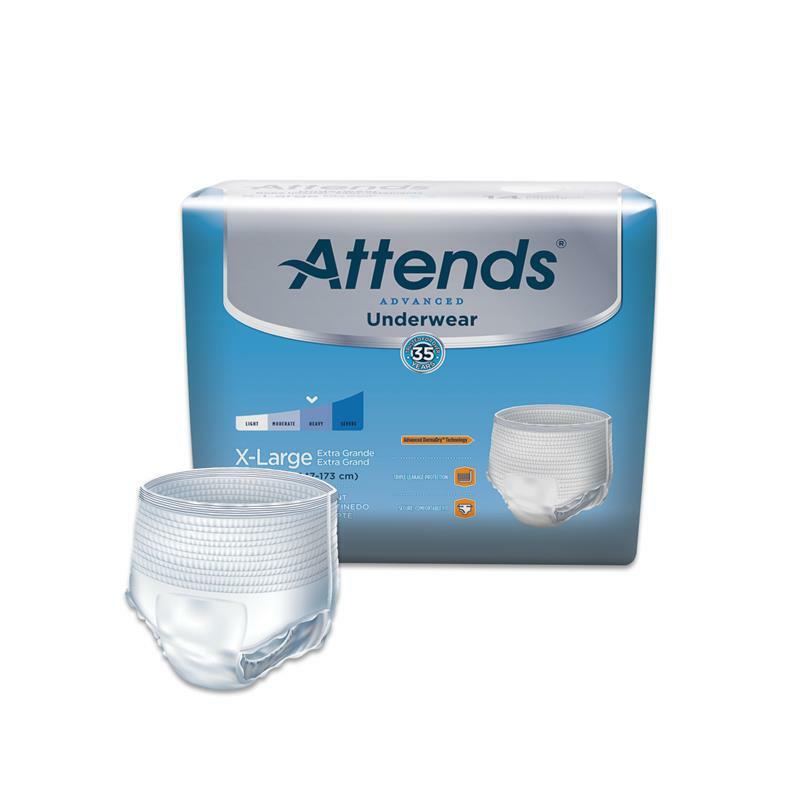 Contains additional super absorbent polymer and cellulose fibers for SUPER PLUS absorbency. Stretchable comfort-fit belly and waistband elastics. Breathable, air-flow material for dry, healthy skin. Cloth-like material for discreet wear. Acquisition layer and super absorbent polymer channel and lock fluids in the core and help prevent odor. 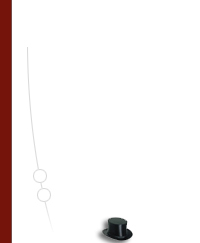 Color stitching indicates back of product.